A Skullgirls fan (Ceemcneil) suggested a rather oblique idea for a character (an Asian sniper with a talking gun). 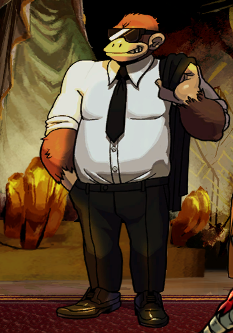 The development team liked the idea enough to develop into an actual character, Juju, but mcneil demanded that the character was "his" and that he needed reparation for the character to be in the game. 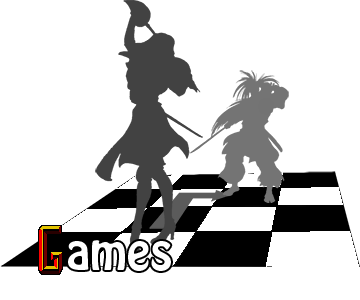 After a long and storied legal process to secure the rights of the character, mcneil broke NDA by blabbing that the deal had been sealed on the official Skullgirls message board. Due to this breach of contract, Lab Zero scrubbed Juju from Skullgirls history, going so far as to censor her name in a line of dialogue by Parasoul. 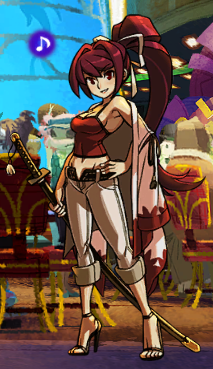 With the 5/12/2014 patch of Skullgirls, all of the red crosses in the game (Valentine's outfit and shuriken, Lab 8 background character Ileum, Patron Saint background character ProxySScythe) were changed to a hot pink/magenta. This is due to the Red Cross Organization owning a very explicit copyright on the image of a red cross for the purposes of identifying a safe place for health facilities, especially in war zones, and as such is also protected by the Genevea Convention. Although there is no record of the Red Cross complaining or threatening legal action, Lab Zero made the change as their Japanese distributor, Marvelous, was very uncomfortable about potentially violating such a copyright. CC & SH mascot Shady made it into Skullgirls' Glass Canopy stage for a cameo, by way of Indiegogo crowdfunding contribution. Yuzuriha of Under Night In-Birth fame makes a background cameo in the River King Casino stage of Skullgirls, due to the developers funding Skullgirls' Indiegogo crowdfunding drive at the "Patron Saint" level. During the earliest stages of development, Filia was voiced by renowned voice actress Kira "rina-chan" Buckland. However, once Konami picked up the distribution rights and more actresses were being brought into the fold, Kira was swapped out for Christine Marie Cabanos. 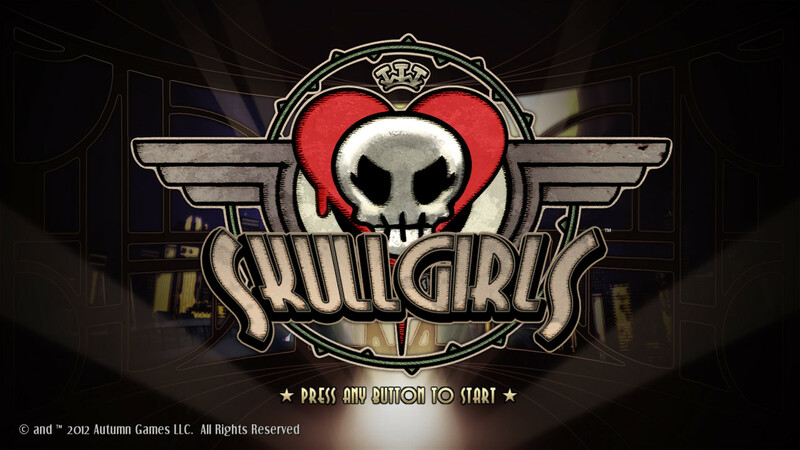 However, Buckland's voice did make it into the game as the titular Skullgirl, final boss Bloody Marie.